Oh yes, if you travel 170km (that is the distance from Hanoi to Ha Long City) you will be relieved to know that you have reached Ha Long City, Vietnam. 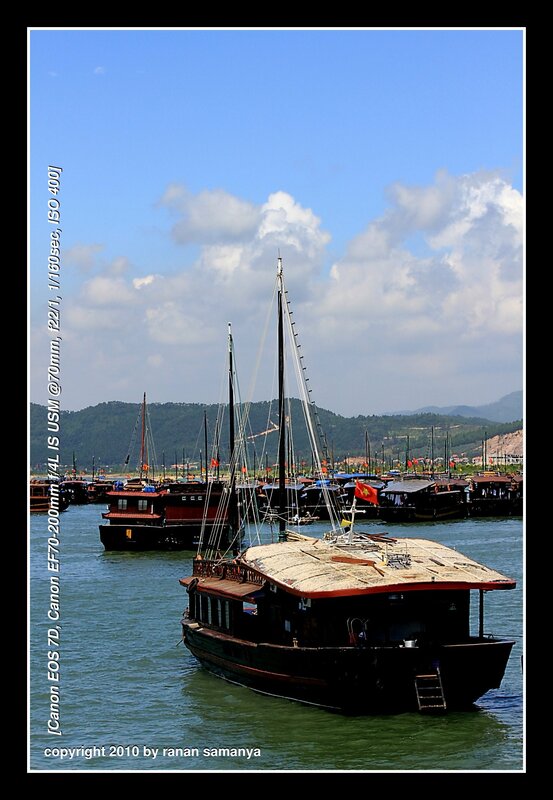 You know when you reached this small town by the massive number of junks (ancient Chinese sailing vessel design) anchoring in the bay, with their wooden dark brown colour, red and yellow linings, gold paintings, and the Vietnam flag rising on top of them. 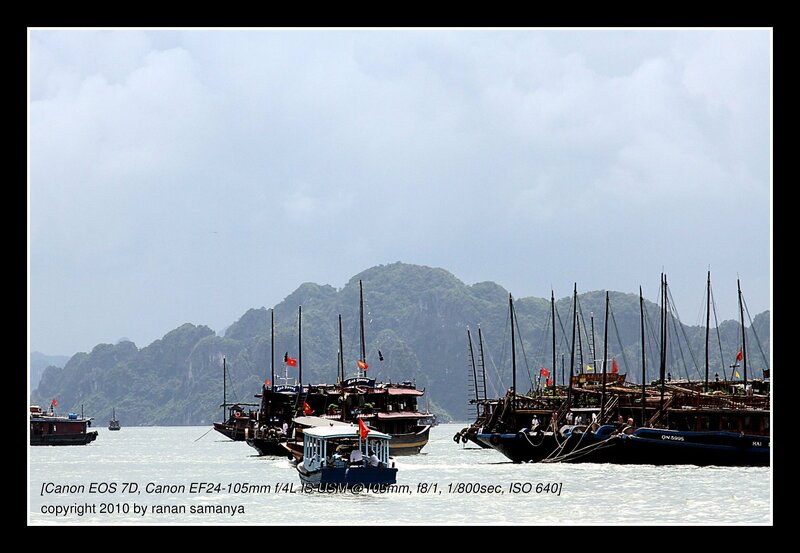 The shadow of the limestone karst on the distance will confirm that this is Ha Long bay. We were lucky to visit Ha Long during the off peak season. I can’t imagine the crowd madness of this area when the holiday starts. My group reached Ha Long 30 minutes past noon. The sharp, hot sunlight was immediately felt. The same ray of sun made the sea glittered in silver colour. There was no time to enjoy the scenery, as our guide rushed us to enter a small boat that will bring us for either one or two nights stay on a cruise. 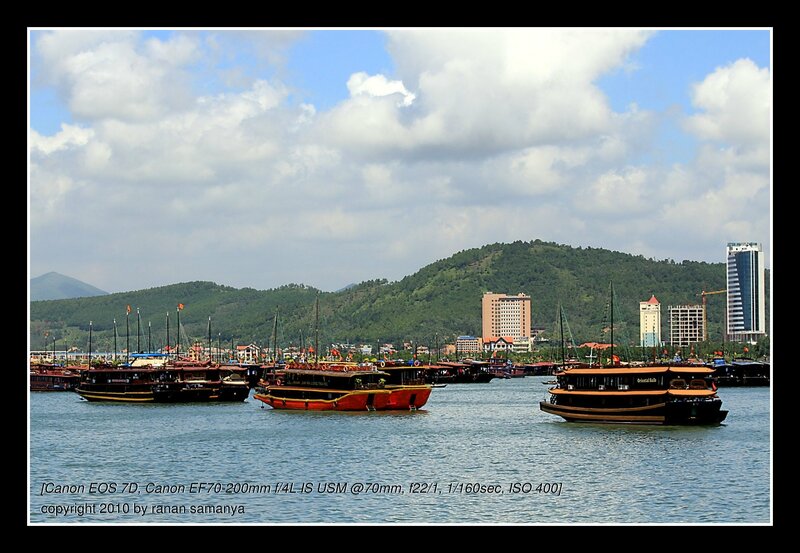 The excitement has just begun, for the real adventure lies in front of us, in Ha Long Bay. I took an enormous 900 over frames during the three days journey here. Let’s see over the next few posts whether some of them came out nice or not….